From extreme pickling and pogo sticking to friendly Furries and urban speedways, July is all about adventure. 1. EQT Celebrate America Downtown: July 4, noon – 9:35 p.m.
Backyard July 4th BBQs are a fantastic tradition, but for the holy grail of Independence Day fun in the Burgh, gather your friends — and the relatives in town for the holiday —and head to scenic Point State Park. Headlining this year’s festivities is 18-year-old “American Idol” finalist and Munhall native Gabby Barrett. Swing by the Fort Pitt Museum to see 18th-century reenactments, fife and drum performances and rifle and musket demonstrations. The event grounds will feature a Kid Zone, food vendors and live music by The Dorals, Hobbs Sisters and Stampede. 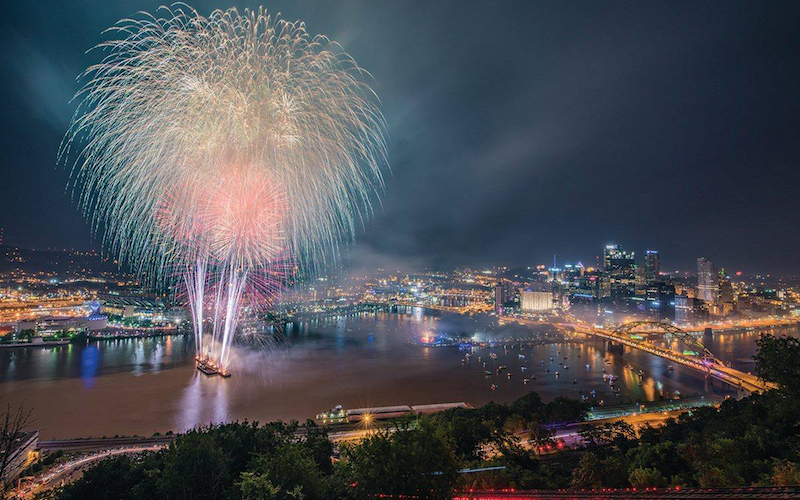 The dramatic finale will be StarFire‘s fireworks display set off at the confluence of the three rivers at 9:30 p.m., with open seating at Point State Park and along the North Shore. 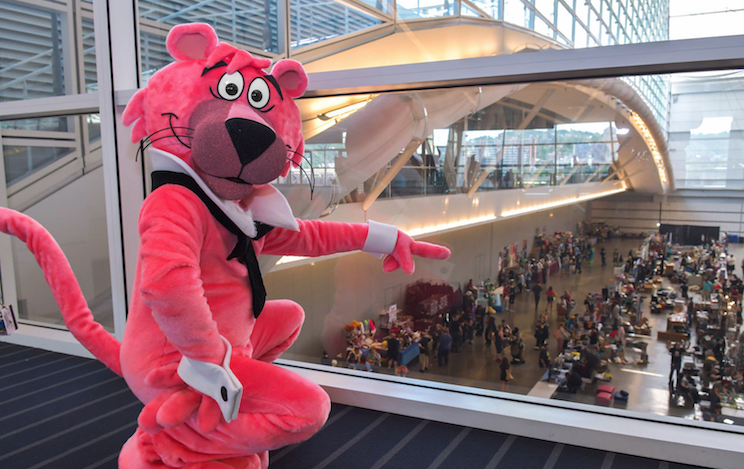 Imagine attending a convention with panel sessions titled “Spirit-Animal Guided Meditation” and “Are You a Werewolf?” For its 13th stop in the Burgh, Anthrocon is celebrating movie monsters — apropos for a city where the zombie film was born. Furries from around the planet, and everyday folks who admire cartoon creatures and their kin, will gather to imagine what it would be like if animals could walk, talk and act like humans. No, you don’t have to wear a costume to attend. All aspects of anthropomorphics will be explored during workshops, seminars, art exhibits, meet-ups, games and more. Special guests are Canadian animator Len Simon and award-winning illustrator Ursula Vernon. If you only attend one Furry happening, make it the jubilant Fursuit Parade, open to all July 7 at 2 p.m.
3. 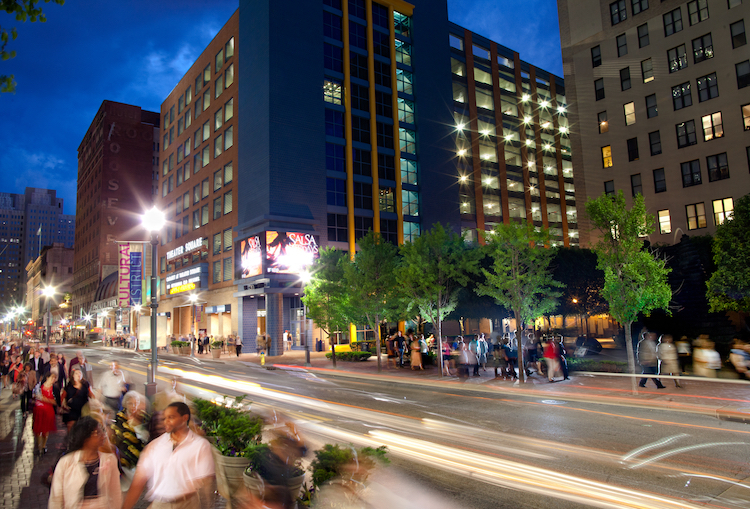 Gallery Crawl in the Cultural District: July 6, 5:30 – 10 p.m. Walk beneath shimmering blue lights inside Andrea Polli’s Garrison Canal installation, create animations using giant LED cubes, LOL at live improv games and shop in a night market, all for free at the summer Gallery Crawl. More than 35 events, openings and experiences will animate 14 art-infused blocks. At Wood Street Galleries, don’t miss River Separates Water featuring large-scale video and audio work by international artists Rebecca French, Andrew Mottershead and Hanna Tuulikki. Curated by Justin Hopper, the exhibit explores rivers as spaces for change and transformation. Also not to miss: Identity Play at SPACE, I’m Not With Him at Future Tenant and the Crawl After Dark UNION party with DJs Big Phill, Blakk Steel and Bamboo. View a schedule. There’s nothing else like the roar of the engines and the thrill of the chase at the Pittsburgh Vintage Grand Prix, as colorful, sleek cars compete on the city’s scenic roadways. A motorsport mecca showcasing everything on four wheels, the PVGP boasts 12 events, 10 days and 4,000-plus cars. Highlights include the Blacktie & Tailpipes Gala, Historics at Pitt Race, Squirrel Hill and Downtown parades, Countryside Tour, Walnut Street Invitational, and Passport to Elegance Jet Center Party. New this year is the BMW Car Club’s Oktoberfest, Kastner Cup Triumph Race and Tune-Up location at Heinz Field. 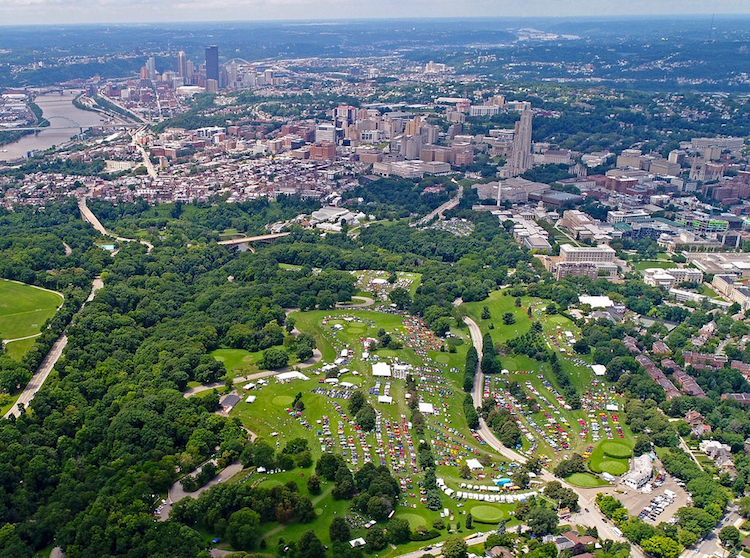 Race Weekend in Schenley Park is not to miss, reigning as one of Pittsburgh’s most distinct summertime events. It’s the only vintage race run on city streets and the largest of its kind in the U.S.
Get stuffed during a meatball-eating contest, watch local chefs show off their culinary chops in a creative pizza challenge and hone your ball throwing techniques at a bocce tournament. Penn Avenue between 6th and 9th streets will be Pittsburgh’s go-to destination for the la dolce vita. 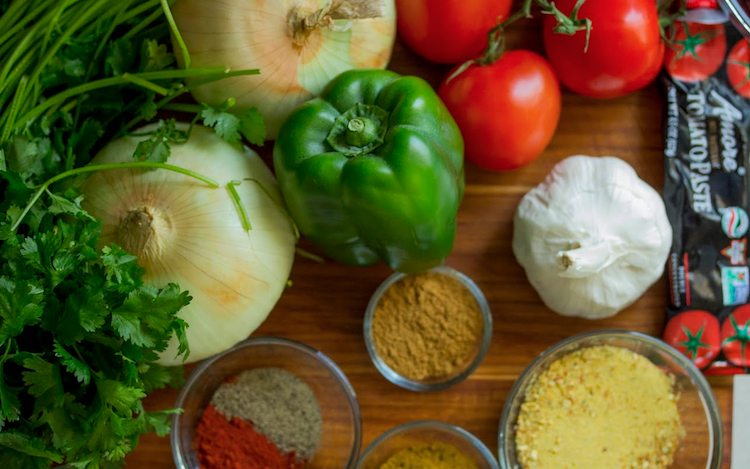 Showcasing Italian heritage and culture, the avenue will be peppered with 40 vendors, live music by Right Turn Clyde and accordionist Frank Pusiteri, contests, raffles, cooking demonstrations, wine vendors, a bocce court and children’s activities. Actor and singer Gianni Russo — best known for playing Carlo Rizzi in Francis Ford Coppola’s acclaimed film, “The Godfather” — will perform, meet with fans and sell his signature line of vodka. The post 10 Pittsburgh events you won’t want to miss in July appeared first on NEXTpittsburgh.